Jake's job has had him traveling all over the place in the past year. It has been tough on us as it means lots of time apart and trying to maintain our relationship via phone calls and emails. Whenever we start feeling down about it, we remember all the American Airlines and Marriott points that he is racking up and we feel a little better. He was smart to become loyal to an airline and hotel early on rather than having points all over the place. Jake realized a few months ago that Marriott has a few all-inclusive resorts, which means that we can use his points for the hotel, the food and the mai tais. Yes kids, we will be going on a virtually free honeymoon. We would stay at the Renaissance Aruba at the Marina. The Marina and its pool are kid-free which, although we love kids, is kinda nice when you're on your honeymoon. The Renaissance also has a private island off of Aruba which is supposed to be gorgeous... although several reviewers on TripAdvisor mentioned that there is a bit of a lizard problem. 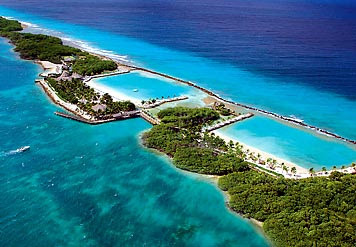 Jake's sister and brother-in-law are going there in April so we are looking forward to their review. I'm sorry, I know I am missing the pretty little swoosh under the c, but I don't know how to type it! This was Mrs. Onion's honeymoon spot. 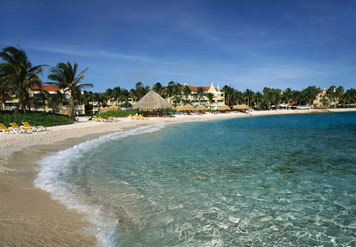 We would stay at the Renaissance Curacao, which is still under construction. I don't know a lot about it, but Mrs. Onion gave the island a great review and the photos are gorgeous. Its also kind of unique in that it doesn't attract a ton of US tourists. 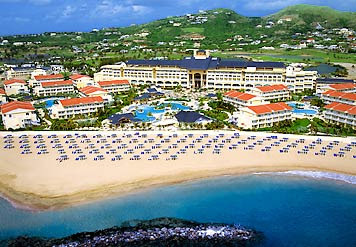 The St. Kitts Marriott Resort had the best reviews on TripAdvisor out of all our favorites. This is your typical Caribbean resort. It seems to have lots of yummy restaurants and fun activities. We probably wouldn't need to leave the resort... which sounds very nice. 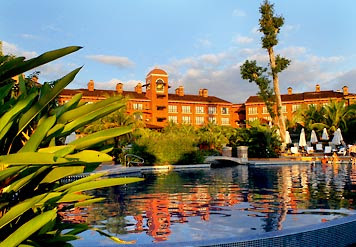 This is the Los Suenos Marriott. I love that picture. I can't stop staring at it. I have always wanted to go to Costa Rica. It seems like there is so much to do with all the wildlife and gorgeous land. A friend of mine spent the summer in Costa Rica (traveling rotation for med school, luck girl) and she raved about it. Did anyone else go the all-inclusive route? Did you enjoy it or did you want to get out on the town? Also, has anyone stayed at any of these resorts? I haven't stayed at any of these but I totally vote for costa rica! It just seems so much more fun and special than the caribbean to me. I don't recommend the Renaissance in Aruba. My fiance and I stayed there in December 2007 (its actually where he proposed!) and it was just ok. Not honeymoon material. The private island is great - but the rooms kind of sucked (I used my marriott points as well). And the resort in general was just kind of dingy. Also, the location of the marina hotel isn't very tranquil or pretty. It's located literally right on top of the main road and there is no beach in sight. It doesn't really feel like a tropical resort. We have just added your latest post "i heart our honeymoon options" to our Directory of Honeymoon Travels and Locations. 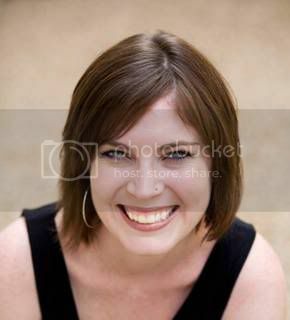 You can check the inclusion of the post here . We are delighted to invite you to submit all your future posts to the directory for getting a huge base of visitors to your website and gaining a valuable backlink to your site.